Spring is around the corner and it’s the perfect time to think about making a change — a change of your hair color! You’ve spent hours searching the web for inspiration and ideas and found a few photos you really like. But you have questions. Will this hair color I like look good on me? Is this new color going to require a lot of maintenance? While you try to seek answers on the internet, all this searching just seems to leave you with more questions. That’s why you need to take these questions to the expert: your hair colorist. 1. Is my hair/scalp healthy? This may seem like a silly question. After all, you wash and condition your hair regularly at home and see your stylist often for haircuts. But when it comes to coloring your hair, you want to make sure your hair and scalp are healthy so that your color will look and stay fabulous. 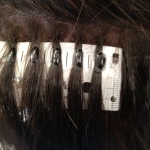 Ask your hair color specialist to assess your hair. He or she can check if your hair is dry or oily, if you have excessive split ends, if there’s dandruff or if you’re experiencing product build up. Then your colorist can come up with a treatment plan to help you have the healthiest hair possible. 2. How long will it take to color my hair? This is a great question for your hair color specialist because different color treatments take different lengths of time to process. Are you going from light to dark? Dark to light? Do you have long or short hair? 3. Is this color right for me? Ask your color specialist if you want an honest opinion about how a certain color will look on you. He or she can make color recommendations based on your skin tone and eye color. And if you’re thinking about any of the great fall hair color trends, bring your ideas with you. 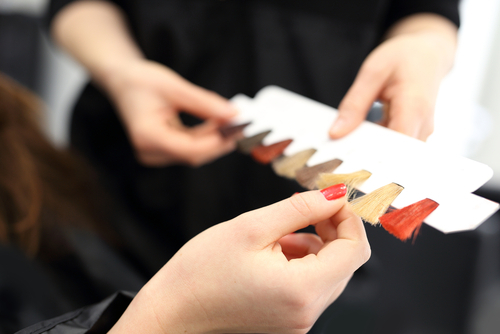 Remember: All colors come in various shades, and your colorist will help you pick the perfect shade for you. 4. What is maintenance like for this color? Do you appreciate a hair color that is low maintenance? Or are you willing to undertake the upkeep needed for a more high-maintenance color? Certain colors require more upkeep while others may be more forgiving if you can’t get to the salon on a regular basis. 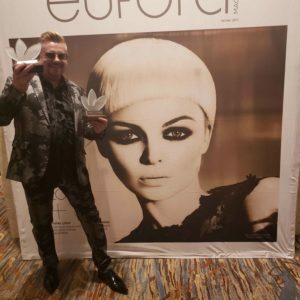 Whether you are low maintenance or high maintenance when it comes to your hair, you should share your preference with your colorist, and he or she can then recommend the best color for you. 5. What products should I be using at home to maintain my color? Your hair is now the most gorgeous shade you could ever imagine, but you need to know what you should be doing at home to help it stay like this. Ask your color specialist. Salons carry many products for at-home use that are designed to be used after the treatments they provided. There are shampoos and conditioning treatments intended for not only specific colors but distinct hair textures. If you want to maintain that vibrant, fresh-from-the-salon color, ask your stylist to recommend products that are right for you. 6. How long can I expect this color to last? While there may not be a definitive answer to how long a color will last, your color specialist has the experience and expertise to know approximately how long a color will stay true. Some colors tend to fade more quickly while others have a longer shelf life. Additionally, your hair texture and hair health play a part in how long your color will last. Discuss your color choice with your colorist for the best possible information. 7. Can you help me correct my current hair color? Have you ever experienced a bad hair coloring? It’s the absolute worst feeling. Whether you tried to color your hair at home or visited another salon that didn’t provide you with the color results you wanted, don’t try to correct it yourself. 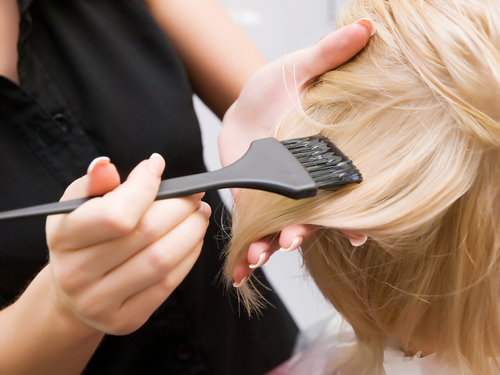 When it comes to color correction for hair, seek out a color specialist. There is no one better to help you than a professional colorist to ensure you receive the color you want without damaging your hair. Are you ready for a change of hair color? Fiery red? Deep chestnut? A cool blonde? Whatever color you choose, ask your color professional all these important questions so that together you can make the best choices when it comes to your hair. You can have the color you’ve dreamed of when you work with a color specialist to make it happen.